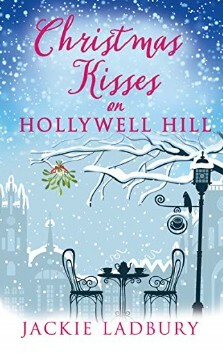 Lose yourself in this festive, feel-good, winter romance with a touch of humour. Christmas is coming and actress, Kirsty Castille, is having a crisis of faith. All around her actors are bagging interesting roles in Christmas pantos while she’s stuck as Nag the pantomime horse. By a stroke of luck, she lands the lead role in a well-known musical and can finally wave goodbye to the cast in the seasonal production of Snow White and the Seven Christmas Puddings. Things get even better when she bonds with handsome chef, Jake Levy, over a piece of squid at her local supermarket. Sadly, romance is the last thing on Jake’s mind. He has a Christmas deadline, an ex-wife to mourn and lots of emotional baggage to drag around – and he certainly wouldn’t fall for someone like Kirsty who craves the limelight: been there, done that. A misunderstanding leads Jake to offer Kirsty a job in his new restaurant and she is savvy enough to realise that she will have to take the job offer if she wants to see more of him. Her charm offensive appears to work, but while he’s cooking up a storm she’s secretly sparkling under the spotlight – until keeping a low profile becomes impossible. The fallout is catastrophic, but as they say in Luvvie Land, the show must go on, even if Kirsty wonders if she’s taken her last curtain call and ruined her chance for love. Read on and immerse yourself in this delightful winter romance as the snow starts to fall and Christmas day comes ever nearer. This gorgeous love story is loosely set in St Albans only half an hour away from London, where chef Jake relocates having lost everything that was dear to him. Enter actress, Kirsty Castille, who lives mostly in a world of her own until she meets Jake and realises she’d quite like to share the real world with him. If only he thought the same, things would be wonderful.